Deep in the heart of Texas rests the city of Austin on the banks of the Colorado River. 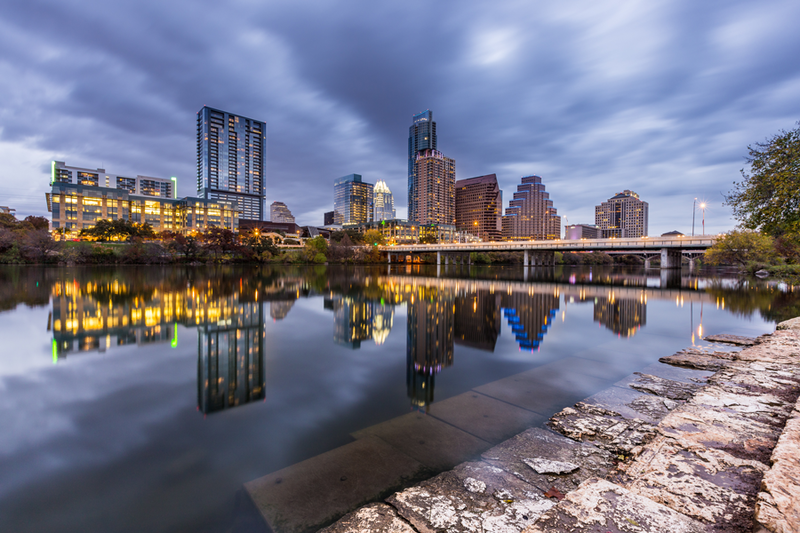 As the capital city, Austin naturally shares a fair amount of culture with one of the most diverse states in the country. The University of Texas, one of the flagship colleges in the state, resides within the city limits. Top-tier Tex-Mex cuisine can be found on every corner. The city is named after Stephen F. Austin, one of the state’s most famous settlers. Then again, Austin is quite the contrarian to its fellow Texas cities in unique ways. Tech companies continue to relocate and grow the city’s business culture. “Keep Austin Weird” is the unofficial slogan to the city. Hundreds will wait in line for hours daily for lunch at Franklin’s Barbecue. In statewide elections, the city usually votes in opposition of the candidate the remainder of the state elects. Austin is also dubbed as the “Live Music Capital of the World,” a tip of the cap to having one of the highest live music venues per capita ratio in the world. Major music festivals call Austin home, including the weeklong South-by-Southwest (SXSW) conference in the spring and Austin City Limits Music Festival in the fall. The latter is named after the weekly show broadcast nationally on PBS, which has been on air since 1976, featuring live concerts recorded from the city. SXSW has evolved into a bigger event beyond the music. Conferences and forums are now held on topics such as technology, public service and sports. A film festival also coincides with the music festivities. Guest speakers range from sitting presidents of the United States to local innovators. Unlike other large Texas cities, Austin’s sports scene mostly revolves around the University of Texas and its football, basketball and baseball teams. The city is a notable hotbed for high school football talents with Super Bowl winning quarterback Drew Brees emerging from one of the local high schools in the late 1990s. The city also added an international flair when it opened a Formula 1 racing track in 2013, the only visit in the United States that Formula 1 currently makes. Most visiting the city almost always end up at 6th Street in the evening, the city’s primary entertainment district. Bars on both sides span across multiple street blocks and offer an assortment of entertainment options and various live music performances. Excellent food trucks, which are plentiful in the city, surround the 6th Street area for the hungry souls walking from the district. Austin is a music lover’s dream, and it offers plenty more than just listening pleasure to the ears. Austin is a biking friendly city, and there are plenty of parks by the river and throughout the city to enjoy the outdoors. The unique vibe in the town will make someone forget momentarily that they are in Texas, much less the capital city. “Keep Austin Weird” could translate into “Keep Austin Fun,” which is why it is emerging as a great city in the 21st century.